I love the excitement the students show at this time of year! They have so many stories and information to share. We have been working on fiction and will continue to do so for the next month. We are also making sure that others can read our writing. An idea I saw from Pintrest, Use Your Writing Glasses, seem to be a cute reminder to students to Use a capital letter at the beginning of the sentence, lower case throughout the sentence, use punctuation, make sure to make sense and use spaces. 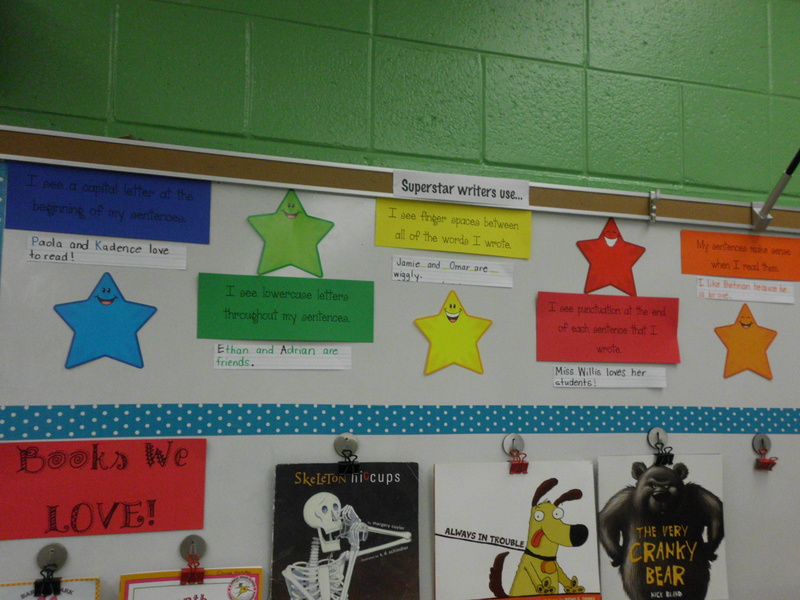 I changed it up for my classroom to be Super Star Writers. Here is a pdf for your use: Use your Writer’s Glasses. Writing Process – Posters with pictures. Roll a sentence – Does it make sense?